R&D Altanova, Inc. (www.rdaltanova.com), the leading provider of full turn-key test interface solutions, announced that its Board of Directors has unanimously appointed Seyed Paransun as Chief Executive Officer. Seyed will assume the role of CEO immediately and continue to serve as the Company’s President. James Russell will assume the role of Executive Chairman of the Board providing ongoing executive and technical guidance and Board-level leadership. “Seyed joined R&D in 2016 and in a short period of time has proven to be a visionary leader with superb execution abilities. We are confident Seyed’s technology background and business experience is well suited to lead the next phase of the company’s growth and success”, said David Belluck, a board member of R&D Altanova and a General Partner at Riverside Partners. Seyed has an extensive background in the semiconductor and electronics industry. He is best known for his ability to lead change and transform businesses for increased productivity and profitability. Prior to Joining R&D Altanova, Seyed served as Vice President of worldwide back-end operations and operations excellence at Atmel Corporation with responsibilities for both US and Asia facilities. Seyed has also held various executive positions including Vice President and General Manager at NXP as well as Senior Vice President of Test Services at Amkor Technology. Celebrating over forty years of excellence in leading-edge, technology driven, quick-turn PWB manufacturing, R&D Altanova specializes in advanced automated test environment interface boards for the semi-conductor test market. Solutions include the simulation, design, layout, fabrication, and component & mechanical assembly of test interface boards. R&D Altanova, Inc. (www.rdaltanova.com), the leading provider of full turn-key test interface solutions, announced this week that it has appointed Seyed Paransun as President, responsible for worldwide operations as well as overall company P&L. Seyed will also join the R&D Altanova Board as a director. Seyed has an extensive background in the semiconductor and electronics industry. He is best known for his ability to lead change and transform businesses for increased productivity and profitability. 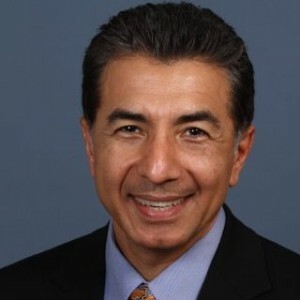 Most recently, Seyed served as Vice President of worldwide back end operations and operations excellence at Atmel Corporation with responsibilities for US and Asia facilities. Prior to Atmel, Seyed was the Vice President and General Manager at NXP, managing the sensors and actuators division with full responsibility for product development, marketing, R&D and divisional P&L. In addition, as Senior Vice President of Test Services at Amkor Technology, Seyed managed Amkor’s test business responsible for sales, marketing, supplier management, and aggregate P&L for all six test factories as well as technology development centers in the U.S. and Asia. R&D Altanova, Inc., the leading provider of full turn-key test interface solutions, announced today that it has closed on an equity investment by Riverside Partners, a middle-market private equity firm specializing in healthcare and technology industries. “The product demands of our technology customers requires us to continually reinvest in equipment and global infrastructure to develop the test interface solutions they will need in the future”, said Ken Pawloski, CFO of R&D Altanova. “We’re excited about this next phase of our growth strategy”. Founded in 1989, Riverside Partners is a middle market private equity firm currently investing Riverside Fund V, L.P. The fund focuses on growth-oriented companies primarily in the healthcare and technology industries. Riverside Partners is particularly experienced at partnering with founders, owners and management teams and it brings substantial domain expertise and operating experience to its portfolio companies. Today, Riverside Partners manages $1 billion of equity capital and seeks to make investments in companies with revenues between $20 and $200 million and with $5-$25 million of EBITDA. For more information, please visit www.riversidepartners.com.